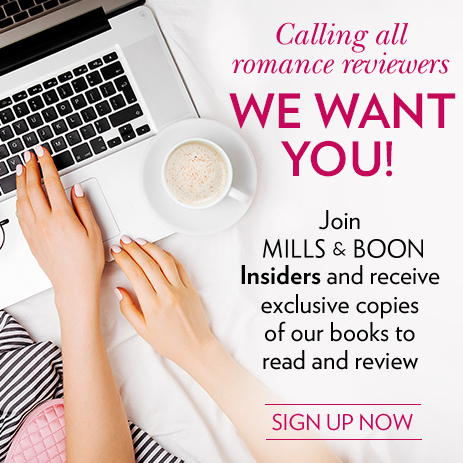 Mills & Boon Insiders is a community of reviewers and bloggers who are as passionate about romance as we are! We're looking for enthused readers who want to read and review our books, and share their love for romantic reads across blogs, social media and review sites. As a Mills & Boon Insider you will receive a regular email with our top picks of the best new romance titles, which you can request to read for free before the release date. You’ll also receive an exclusive Insiders goodie bag. If you're interested in becoming a Mills & Boon Insider please fill out the form below. Please do include all your details in the form so that we can verify your application. If your request has been approved you’ll receive your first Insiders email packed with the latest book news from Mills & Boon.